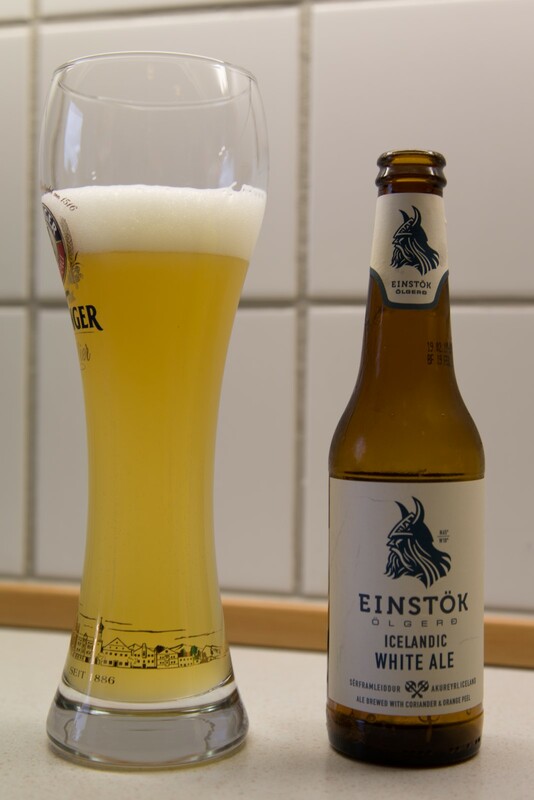 Einstok brewery opened in 2010 and is located 100 kilometers south of the Arctic circle in the fishing port of Akureyri, Iceland. I bought this beer at the Salling store in Aarhus, Denmark at the price of 3 Euro for a 330 ml bottle at 5,2%. Beautiful light yellow and white in the colour. Medium head with a fine top that stays on the beer. Sourish and sweet fruit aroma coming off with a medium strength. Good CO2, fresh and fruity with sweet and light hops in the after taste. This entry was posted in Beer and tagged ale, beer, white ale. Bookmark the permalink.